Today’s Quick Fix solves two problems for me. 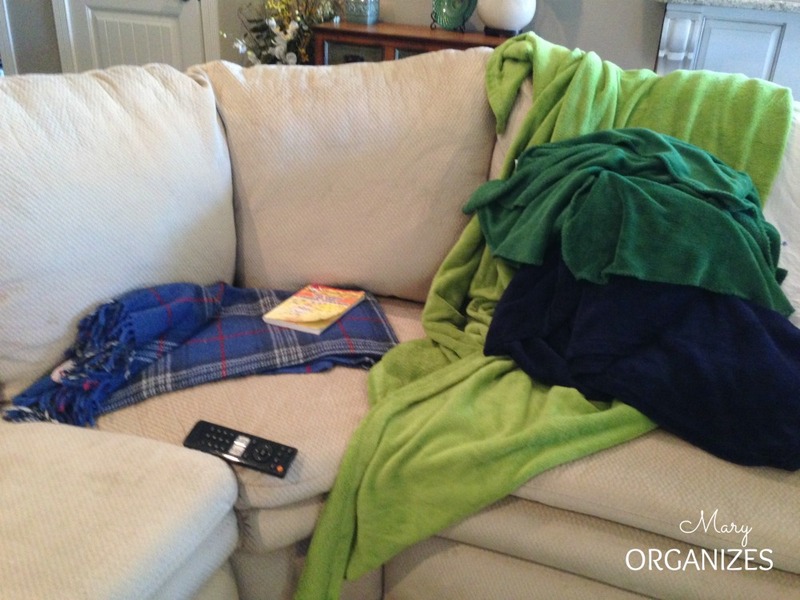 Problem #1 – tons of throw blankets all over my living room. There are lots of people in my family and we really do use the blankets. I got rid of my coffee table with storage to make room for baby to play in the middle of the living room floor. 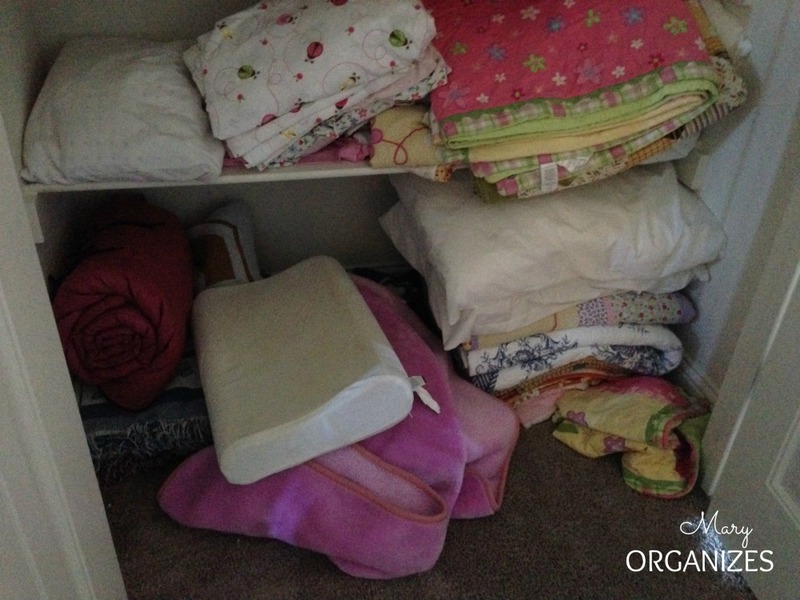 When I tried to leave a pretty stack of folded blankets, my kids took that as a personal challenge to scatter that stack wide and far. This picture is actually a little tame compared to what it was normally looking like. When I saw this bag, I saw it as the quick fix I needed. 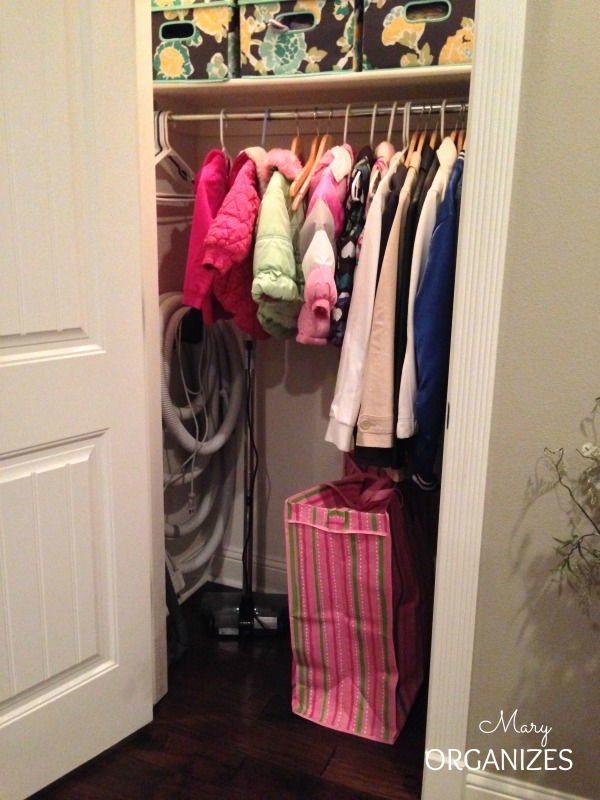 I put it in my coat closet nearest my living room. The blankets get stuffed inside (don’t even need to be folded), then pulled out whenever my family snuggles on a chilly night or for a little rest Sunday afternoon. But magically these bags make it look like this! Score! I seriously have the same problem in my living room! I swear, there must be fifteen little soft and fuzzy throw blankets for all of us! I don’t have a coat closet of any kind, though – I currently have a trunk that is our coffee table – I store bigger blankets in that, for our beds (no linen closet anywhere in the house either), but it’s not a convenient place to put throws that we want to get out often (when is a coffee table ever free of stuff on top?!?). Right now we have the “folded stack on the back of the couch” theory in place… It’s a great theory, right? Never works! Any suggestions? I do have an end table between two comfy chairs that has nothing underneath it, I wonder if I could find a bin or bag that would fit underneath it… Hmmm…. 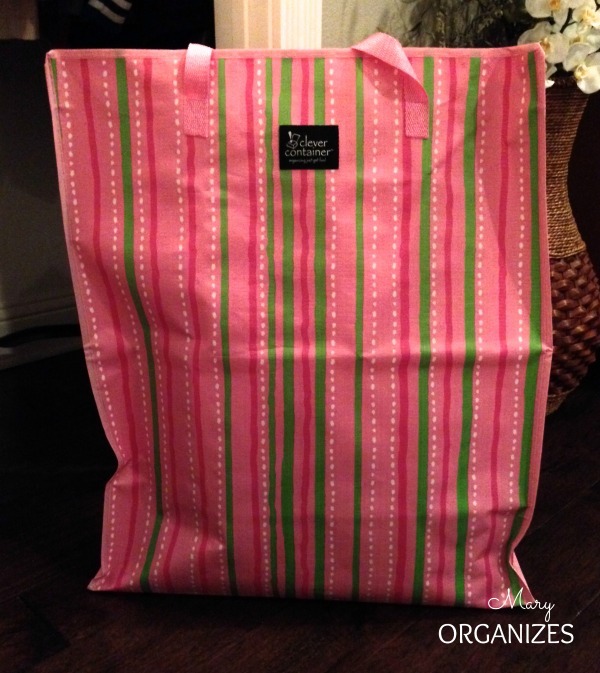 Maybe you can try a pretty fabric laundry bag. TJ Maxx, homegoods and Marshall sell them reasonably priced in colors to match any color scheme. I have a wire rimmed one that I use for extra throw pillows and my many throws. I keep it at the side of the couch. where did you get the beige canvas boxes on the top 3 shelves? I bought those a long time ago and very very sadly, I haven’t found them since. They are Rubbermaid Canvas totes that zip around the top with a cedar insert. 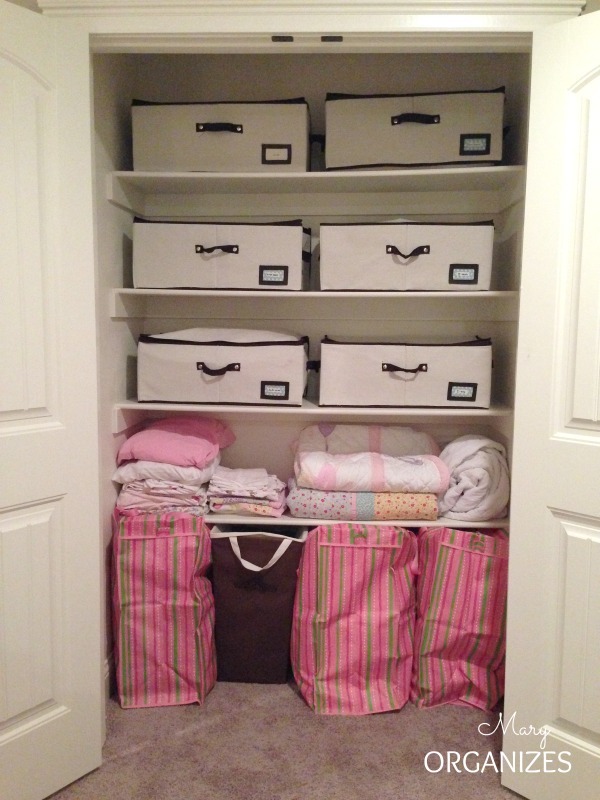 Pretty much perfect for long-term clothes storage!! The Container Store has some really cute canvas totes that zip around the top. They do not have a cedar insert but they do have a label on the front. I have some and use them to store my extra sheets and all of my purses. I have them lined up across the highest shelf in my closet. They look so cute up there and I love them!